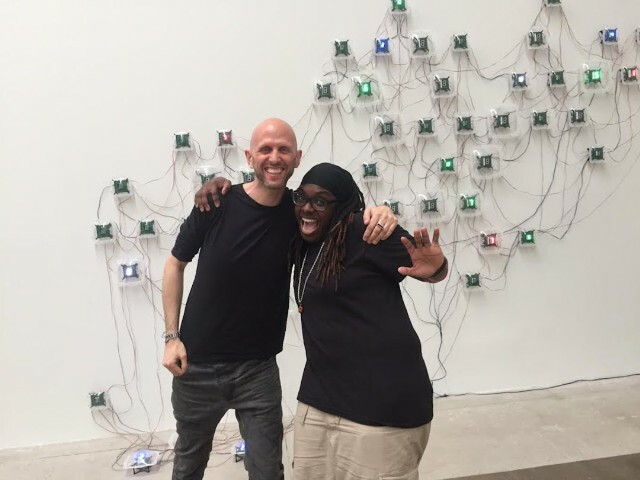 When we talked to Jlin last year, the Indiana-based electronic experimentalist was working hard on the score for Autobiography, a new work by the celebrated British choreographer Wayne McGregor. Now, Autobiography has been formally announced: McGregor’s company will perform it at a series of dates in Europe and North America in the coming months, sometimes accompanied by a live Jlin performance. And her label Planet Mu is releasing recordings of Jlin’s score on September 28. In conjunction with the announcement, they’ve released a track entitled “The Abyss of Doubt.” Jlin previously told Spin that Autobiography’s slowness might surprise longtime listeners of her hyper-detailed rhythms, but the first single is right in her wheelhouse: rollicking triplets, sharp-edged synthesizer, eerie vocal samples filling whatever empty space is left (including a classic line from Carrie). We’ll see what the rest of the score holds, but this one wouldn’t sound out of place on either of her excellent albums. Hear it below, and read our May 2017 cover story on Jlin here.